In November 2017, the federal government released its National Housing Strategy outlining its commitment to realizing the right to housing in Canada. 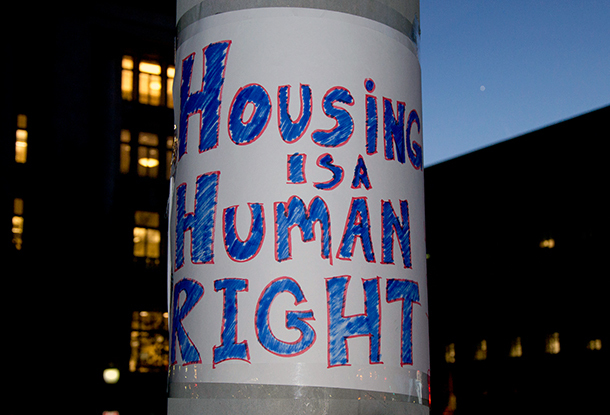 Following this, in March 2018, the government launched public consultations to hear from Canadians “about the key elements of a human rights-based approach to housing, the proposed approach to the new legislation, and new concepts to be explored.” The consultations built on the government’s commitment to realize the right to housing in its National Housing Strategy, released in November 2017. As part of the consultations, the government also released a discussion paper outlining the key elements of the proposed human rights-based approach. Maytree, alongside other organizations and partners in the sector, took part in the consultations and supported broad-based input with a focus on the meaningful participation of those with lived experience of housing need. On November 22, the government released a report presenting findings from the consultations. Together, these papers proposed a set of principles for a rights-based approach, an enhanced architecture for the elements set out in the government’s discussion paper, and mechanisms for the meaningful participation of people directly affected by homelessness and housing need. Reflecting on the recommendations in the two ideas papers, and on discussions with government, academics, and civil society groups, Maytree developed its own submission to the consultations. The submission is focused on how the initiatives in the Strategy can be strengthened to reinforce the four human rights-based principles of accountability, participation, inclusion, and non-discrimination. Doing so will make us better equipped to achieve the Strategy’s vision that all Canadians have affordable housing that meets their needs.